Pictures and information about 2012 Miss India World, Vanya Mishra, at the Miss World 2012 Beauty Pageant. News about Vanya Mishra , her preparation, beauty with a purpose, her clothes, bikini, swimsuit and appearance in the final. Vanya Mishra is in the Top 7 of Miss World 2012. Vanya Mishra (Miss India) is the WINNER of the prestigious “BEAUTY FOR A PURPOSE” Award at Miss World 2012. “BEAUTY FOR A PURPOSE” carries the maximum points among all the Challenge events at Miss World. 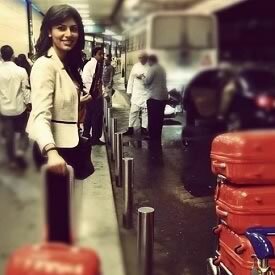 Miss India, Vanya Mishra, is also the WINNER of the MULTIMEDIA AWARD (Social Media Award) at Miss World 2012. AUGUST 18: Vanya Misra dazzled at the Final of the Miss World 2012 competition. When the Miss World Scoreboard was announced, she was in the lead. 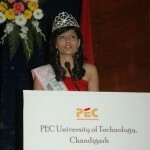 Vanya Mishra is the ONLY CONTESTANT to WIN 2 CHALLENGE EVENTS – the most prestigious “BEAUTY FOR A PURPOSE” and “MULTIMEDIA AWARD“. Femina Miss India, Vanya Mishra, was in the TOP 7 Finalist. This was an impressive performance by her. At the 2012 Miss World Final, Vanya Mishra wore a stunning peach and black gown designed by young Indian Fashion Designer Atsu Sekhose. AUGUST 13 to AUGUST 17: Contestants participated in preliminary interviews. Vanya also attended the Miss World 2012 charity auction where she donated a beautiful carved Golden Peacock from India. AUGUST 5 to 12: Selection and Finals of Fast Track Challenge Events (Sports, Top Model) were held. Vanya was a semi-finalist for the TOP MODEL event on August 12. AUGUST 4 to 6: Vanya and the other contestants visited tourist attractions in and around Ordos, including the Agriculture Museum of Ordos, Donglian Picture and Animation Studios, Donglian Painting and Calligraphy museum, Ordos Zoo, Genghis Khan Mausoleum and a nomadic Mongolian village. Also, Graeme Black, the creative director of Erdos 1436 (Chinese luxury label), is working with Vanya to create her gown for the “Top Model” Final on 12 August. AUGUST 3, 2012: Finals of the “Beach Beauty” Fast Track Event of Miss World 2012. Vanya Mishra’s Beachwear and Bikini designed by India’s Swimsuit specialist designers, Shrivan and Narresh. AUGUST 2, 2012: CONGRATULATIONS to Vanya on Qualifying for the Semi Final of the “Beach Beauty” Challenge Event. The finals of the Beach Beauty swim suit event is on August 3. In all 40 girls qualified (see Miss World Scoreboard here). JULY 31 to AUG 2: Miss World participants flew back to Ordos. For the next few days they will travel to the desert outside Ordos to be photographed and filmed in Beach wear, Swimsuit and Bikini. The girls will also compete in the “Beach Beauty” Challenge Event. JULY 27 to 30: Vanya and her fellow participants got a chance to relax and see the attractions of Shanghai. The ladies visited Yu Garden, Royal Meridien Hotel, Century Square, Oriental Pearl TV Tower (tallest building in Asia), the city of Changshu, a traditional village of Sujiajian Guli Fam, library of the Ching Dynasty, Shang lake. The girls also visited Miss World sponsors, like Chinese fashion house “BoSiDeng”. Next stop is Sanya for the Swimsuit and Beachwear events. JULY 26: Today was the final of the “Miss World 2012 World Fashion Designer Award” in Shanghai. Vanya wore a colorful gown designed by Malini Ramani. JULY 25: Vanya traveled to Shanghai. Today was a day for enjoyment where Vanya and the other girls went on a river on cruise on Huangpu River and had dinner on the cruise. JULY 24: For the Formal OPENING CEREMONY of the 2012 Miss World Pageant, Vanya wore a beautiful Silver and Black Dress. JULY 23: GOOD NEWS. Vanya has qualified for the “TOP MODEL” Event final on Aug 12. JULY 22: Vanya is participating in the auditions for “Miss World 2012 TOP MODEL”. Finals are on August 12, 2012. JULY 21: Vanya was not able to make it through the first round of the “PERFORMING TALENT” Challenge Event . 24 contestants were selected (see list here). JULY 18: Vanya reached Ordos. JULY 17: Vanya departed from Mumbai airport for Ordos in Inner Mongolia, China. For the final of the Miss World 2012, Vanya Mishra will wear a Peach colored Gown by Indian designer “Atsu Sekhose”. For the Miss World Talent show, Vanya Mishra will perform two sets of dances. For the traditional Indian dance, Vanya Mishra will perform a classical “Mujra” to a mix of “Dil cheez kya hai” from “Umrao Jaan” and “Salam-e-ishq” from “Muqqadar ka Sikandar”. For the “Talent” event, Vanya will perform a fusion of Indian and Western dance steps, set to the Hindi movie songs “Desi girl” and “Sheila ki Jawani”. For “Beauty with a Purpose” event at Miss World, Vanya Mishra will highlight the work she has done with NGO “SMILE Foundation” and “Muktangan”. Vanya Mishra’s Family: Vanya Mishra’s mother’s name is Ved Mishra. Ved raised Vanya as a single parent from the age of two. Vanya Mishra’s father was a Major with the Indian army. He died when Vanya was two years old. Vanya does not have siblings. Vanya Mishra’s Education: Vanya Mishra is currently studying Electrical Engineering at Punjab Engineering College (PEC) University of Technology in Chandigarh. PEC is also the alma mater of Kalpana Chawla, the first woman astronaut of Indian origin. Vanya has always been a bright student. In her 10th grade examination she stood first in the state in Mathematics with a score of 100%. Vanya Misra’s Hobbies and Interests: Vanya enjoys music, dance and books. Vanya plays badminton. Vanya Mishra’s Future and Bollywood: Currently her entire focus is on the Miss World pageant and she has not yet given thought to Bollywood. Vanya is keen on completing her Engineering degree and then pursuing a Masters of Business Administration. Vanya Mishra’s Favorite Former Miss India: Diana Hayden, who was crowned Miss World 1997 and Priyanka Chopra, who was crowned Miss World 2000. Vanya Mishra’s Motto: “Never underestimate the power of your mind to change your destiny”. Meaning of Vanya: Vanya in Hindi means Flute. 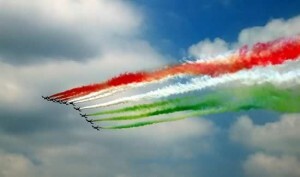 In Sanskrit it means Flood or Cyclone. Vanya is also a popular Russian name meaning God’s Grace. India’s representative to Miss World 2012, Vanya Mishra, has been preparing extensively for the Miss World beauty pageant in Ordos, Chine. Vanya Misra has undergone 13 days of extensive grooming which covered Catwalk, Dancing, Beauty tips, Tips for Hair and Make-up, Preparing for the Talent Contest, Exercise, Food Tips, Preparing for Miss World questions, Diction, Preparing an interesting Webpage for Miss World, etc. In addition, Vanya Misra is also meeting designers to finalize her dresses for Miss World 2012. Among the clothes that Vanya will wear to the Miss World pageant are gowns, traditional dress, swimsuit, sportswear, talent contest dress, etc. “Miss World 2012 Performing Talent” is one of the six Fast Track Events. For this event, Vanya Mishra will perform two diverse sets of dances. For the India specific traditional dance, called “Dances of the World”, Vanya Mishra will perform a classical “Mujra” dance to “Dil cheez kya hai” from “Umrao Jaan” and “Salam-e-ishq” from “Muqqadar ka Sikandar”. For the “Talent” event, Vanya will perform a fusion of Indian and Western dance steps, set to the Hindi movie songs “Desi girl” and “Sheila ki Jawani”. Bosco and Caesar are helping Vanya choreograph all these dances. Bosco and Caesar run the Bosco Caesar Dance Company and they have choreographed Hindi movies such as “3 Idiots”, “Jab We Met”, etc. A Miss India winner is expected to be a role model to young women and showcase herself as a beautiful person with a purpose. In the short time that she has been Miss India, Vanya has taken this aspect very seriously. 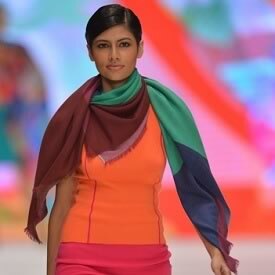 The social cause closest to Vanya Mishra is the “Girl Child in India”. On different forums, Vanya Mishra has spoken of issues related to education of girls, female foeticide, forced abortions, abuse of women, etc. Another cause that is close to her is working with underprivileged children. Both Vanya Mishra and her mother Ved Mishra, have pledged to donate their eyes after their death; she has encouraged others to make a similar commitment. Vanya Mishra is the goodwill ambassador of NGO “SMILE Foundation”, which supports girl child education and girl child empowerment. 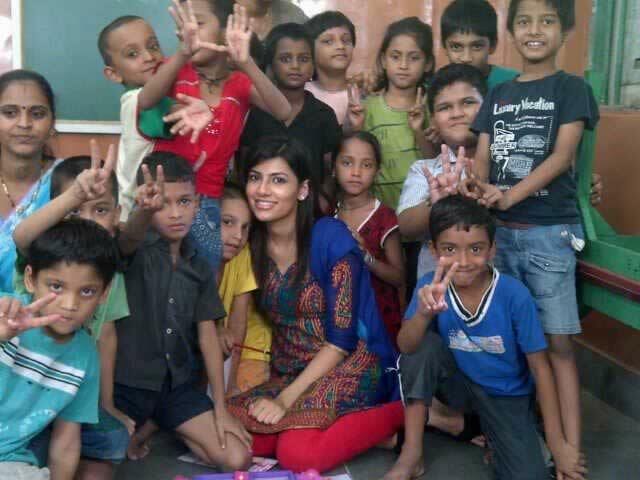 In June, she spent a day in Lucknow with underprivileged children interacting, playing, dancing, singing and motivating them. At Lucknow, Vanya pledged support for the education of 100 underprivileged girl children. At Lucknow, Vanya also inaugurated “Chanze –Shop for a Cause”. This is a Smile Foundation initiative which sells corporate gifts produced and procured by Smile. Vanya has also spent time with children of “Muktangan” NGO. “Muktangan” is an organization that works towards providing quality education for economically deprived sections of Indian society. At the 2012 Miss World contest, there are six Fast Track Events where participants will be given points before the Semi-Final stage of the competition. The “Miss World 2012 Beauty with a Purpose” Fast Track Event carries 30 points, the maximum points among all the Fast Track Miss World Events. Marks are given for charitable causes that are supported by the Miss World contestants. On 6 May, 2012, Vanya MIshra was awarded the annual “Kalpana Chawla Excellence Award” given women who have achieved excellence in their life. The award is named in memory of Kalpana Chawla, the first woman astronaut in space, of Indian origin. The “Kalpana Chawla Excellence Award” was presented by Kalpana Chawla’s father Mr Banarsi Lal Chawla. In addition to preparing for the 2012 Miss World competition, Vanya Mishra has also been travelling and performing duties that are expected of a Miss India. Some of her social engagements included visiting her college, PEC, spending time with underprivileged children, attending Mr India contest, inaugurating new ventures (such as INIFD design institute, Lavie store, Shantanu and Nikhil’s new store), etc. Vanya has also been giving many interviews. Miss India 2012, Vanya Mishra, has teamed up with Indian FMCG Dabur “Gulabari” to launch an India-wide campaign “Vanya Mishra Ko Banao Miss World” (Make Vanya Mishra Miss World). As part of the campaign, Indian women are requested to send beauty tips to Vanya Mishra either on Facebook (“www.facebook.com/daburgulabari”) or at the Dabur site (“www.dabur.com/en/beauty”). The five best tips will be published in newspapers along with the pictures and names of the winners. These tips along with best tips from the various regions of India will be featured in a coffee book titled “Miss India`s Beauty Secrets”. The 2012 Miss World is attempting to be more interactive and will feature web pages by all the contestants where they can update their pageant pictures, videos and generally interact with people all around the world. The best and most interactive web pages will get points. From Vanya Mishra’s point of view, the initiative with Dabur is a smart move to ensure that many Indians visit her web pages at the Miss World contest. In 2011, Vanya Mishra had won the “Dabur Gulabari Miss Rose Glow” contest. This win had given her an entry into the 2012 Pantaloons Femina Miss India Beauty Pageant, which she eventually won and was crowned 2012 Miss India World. Please visit Vanya Mishra’s FACEBOOK PAGE and “LIKE” her page, because number of LIKEs on a contestants’s FACEBOOK page will increase their score in the 2012 Miss World “Multimedia Event“. More Pictures of Vanya Mishra at Miss World 2012.